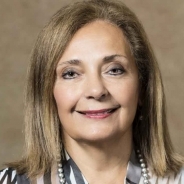 Mervat Abdelhak, department chair and associate professor of Health Information Management and Health Informatics at the University of Pittsburgh, was recently named to the Commission on Accreditation for Health Informatics and Information Management Education’s board of directors. The commission is the accrediting body for health information management education programs. Abdelhak is a nationally and internationally recognized expert on health information practice issues and education. She is widely published with more than 40 publications in top health information management and health informatics journals including the textbook, “Health Information: Management of a Strategic Resource,” now in its fifth edition.